Emilia & Charlotte, two sweet peas in a pod! Twins! 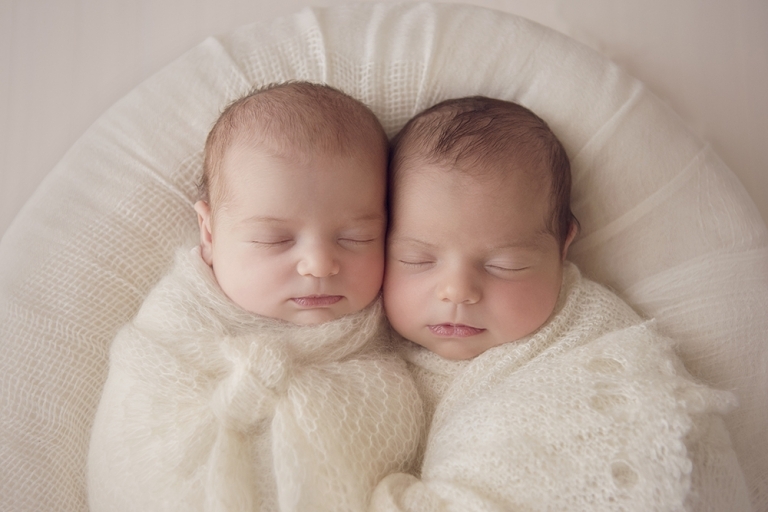 It’s been a few years since I’ve photographed a set of twins so, when Emilia & Charlotte’s father contacted me I had to contain my excitement (slightly) over the phone! We had a lovely day with these two girls and their big brother, Archie! 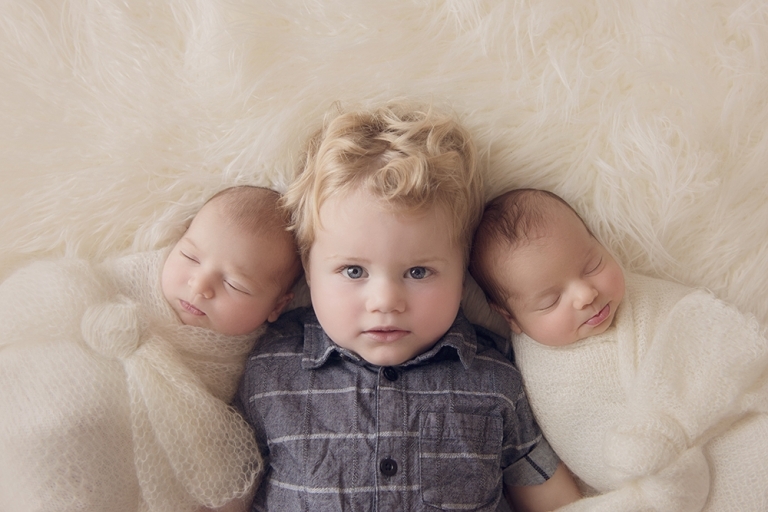 There’s only 21 months between them and he was so good for his photos with his sisters. I never know what to expect with young siblings as their so young, I tend to go with flow because every toddler is different and act differently for their photographs. You can check out my website further for more information on my Newborn Sessions. 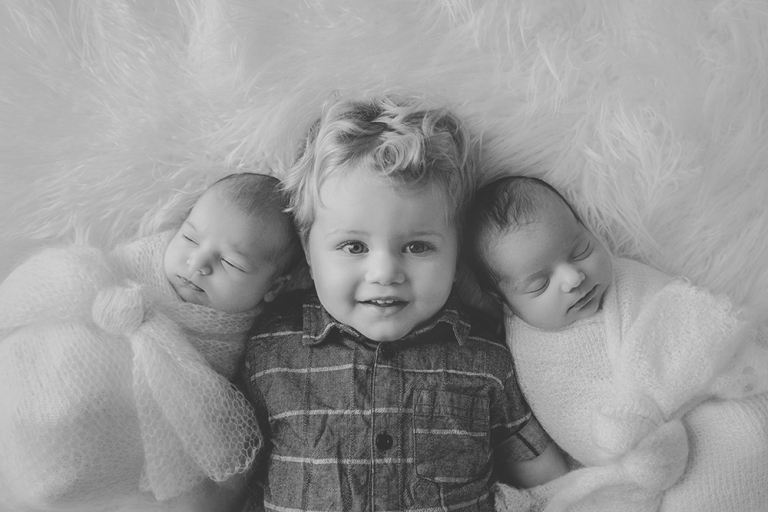 Also, be sure to have a look at my Newborn Gallery to more lovely images of beautiful babies! to enquire about your custom newborn shoot. 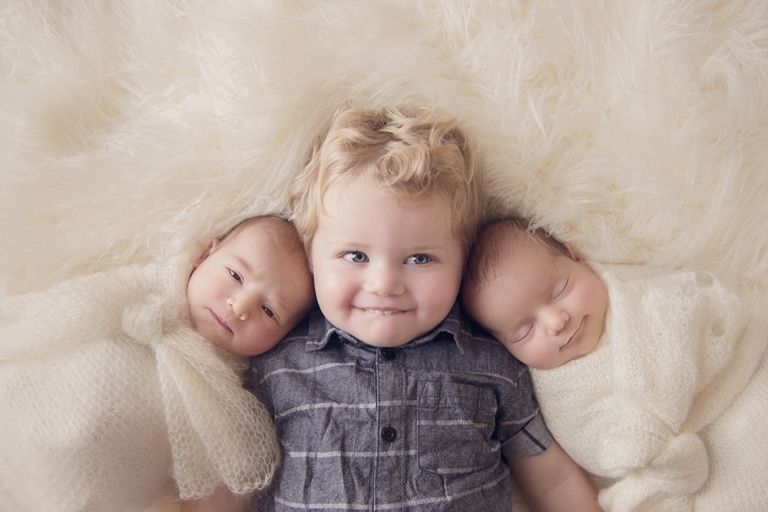 Twin Newborn Photography Sutherland Shire. Emilia & Charlotte’s mum and dad chose a lovely Print Collection to display their photographs. They chose 10 of their favourite images as finished mounted prints and chose the cover material and colour of their print box, for further personalisation. The size of these prints are 5×7 inch with the outer measurement of the mount being 8×10 inch. This is the perfect size for very easy framing. You can go into most shops and pick out any frame you like, and to suite your home. Because of the size of the mounts, you can put them straight into the frame, to achieve that professional quality finish.